Phnom Penh (FN), Jan. 17 - At the invitation of H.E. 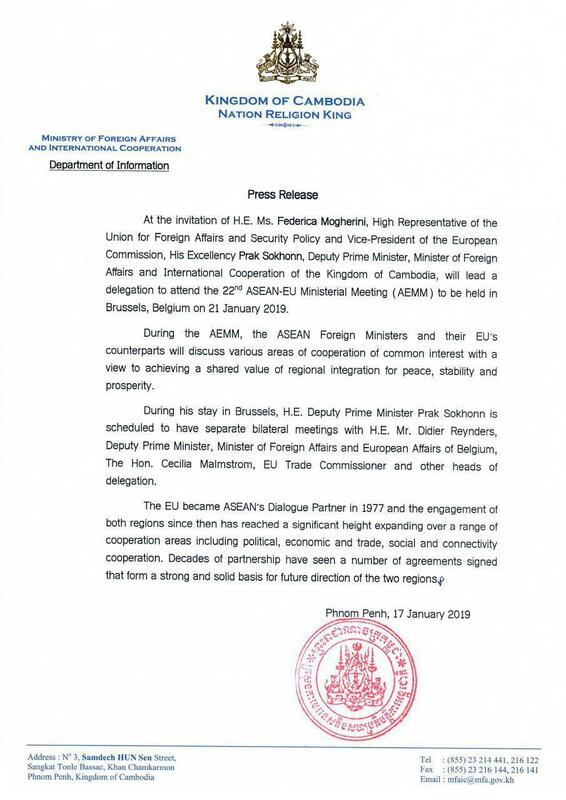 Ms. Federica Mogherini, High Representative of the Union for Foreign Affairs and Security Policy​ and Vice-President of the European Commission, His Excellency Prak Sokhonn, Deputy Prime Minister, Minister of Foreign Affairs and International Cooperation of the Kingdom of Cambodia, will lead a delegation to attend the 22nd ASEAN-EU Ministerial Meeting (AEMM) to be held in Brussels, Belgium on 21 January 2019, according to the ministry’s press release dated Thursday. “During his stay in Brussels, H.E. 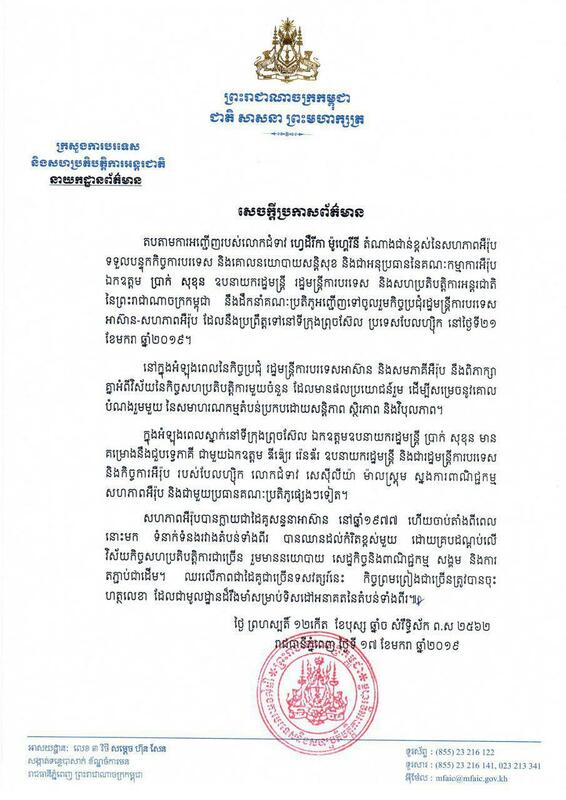 Deputy Prime Minister Prak Sokhonn is scheduled to have a separate bilateral meeting with H.E. Mr. Didier Reynders, Deputy Prime Minister, Minister of Foreign Affairs and European Affairs of Belgium, the Hon. Cecilia Malmstrom, EU Trade Commissioner and other heads of delegation,” the ministry added.